Fresh bread and produce every day, nothing frozen, nothing deep-fried, gluten free, no fillers, no nitrates, no artificial flavors or trans fat. Next time you're hungry, come in for their sandwiches, soups and salads. 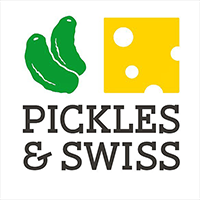 They're made from scratch daily with some of the finest ingredients around: Swiss Emmental cheese from Switzerland, Boar's Head premium meats and cheeses, locally sourced farm-fresh vegetables, and breads and pastries delivered fresh daily by local bakeries.